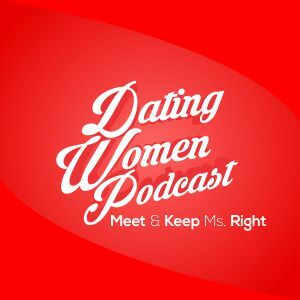 DWP 053: How Do You Keep Her In Love & Don’t Believe The Internet Snake Oil Salesmen That Claim You Can Have Any Woman – And More! >> DWP 053: How Do You Keep Her In Love & Don’t Believe The Internet Snake Oil Salesmen That Claim You Can Have Any Woman – And More! *3 ITEMS – ACTUALLY 3 EXAMPLES OF THE BAD ADVICE OUT THERE! *WHEN THEY WANT TO SPLIT THE CHECK THEN FORGET ABOUT ANOTHER DATE! *HE HASN’T MET MOM OR DAD AFTER 10 MONTHS WITH HER – RED FLAG? *WHY DO YOU HAVE TO FIGHT? YOU DON’T! *HOW LONG SHOULD THE STARBUCKS DATE LAST? HOW ABOUT DATES 2-10? *GET THE FIRST DATE WHEN YOU HAVE THE CHANCE AS YOU’RE TALKING TO HER ONLINE – DON’T WORRY ABOUT WHETHER OR NOT YOU HAVE HER NUMBER – YOU HAVE TO GET HER OUT! *HOW DO YOU DUMP HER AFTER 5 DATES? AFTER 7 DATES? 8?